The U.S. Court of Appeals for the Sixth Circuit, in In re: United States Department of Defense and United States Environmental Protection Agency Final Rule: Clean Water Rule: Definition of “Waters of the United States,” 80 Fed. Reg. 37,050 (June 29, 2015), in a split opinion, confirmed that it has jurisdiction under the Clean Water Act to hear challenges to the new rule promulgated by the EPA and the U.S. Army Corps of Engineers re-defining the regulatory definition of “Waters of the United States.” Recall that the Sixth Circuit earlier issued a nationwide stay of the implementation of the new rule, pending its determination that it has jurisdiction to hear challenges to this new rule. The regulatory definition of “Waters of the United States” is fundamental to the regulatory operation of the CWA and those required to obtain a CWA permit will be watching the Sixth Circuit carefully. After the rule was promulgated in June 2015, many challenges were filed in both district courts and the federal courts of appeal, largely because the jurisdictional provisions of the CWA are so murky. (See 33 U.S.C.§ 1369(b)(1)). Several actions were consolidated in the Sixth Circuit by the Judicial Panel on Multi-District Litigation, and the petitioners argued there that the new rule was deeply flawed and they moved for a stay of the rule pending the completion of the court’s review. However, they also requested that their petitions be dismissed for lack of subject matter jurisdiction in the courts of appeal. Several parties opposed the stay and asserted the court indeed had jurisdiction. On October 9, 2015, a divided panel of the Sixth Circuit granted a nationwide stay pending the Sixth Circuit’s determination of its jurisdiction, and oral argument was held on December 8, 2015. On February 22, 2016, the same panel of the Sixth Circuit, in another divided opinion, ruled that it had jurisdiction to hear this case and dismissed all pending motions to dismiss. Judge McKeague, conceding that the question was very close, nevertheless held that most courts have applied a functional test to the determining whether the CWA allows a direct appeal of such rules to the circuit courts, and that a 2009 Sixth Circuit ruling in the case of National Cotton Council of America v. U.S. EPA compelled the court to rule this way. 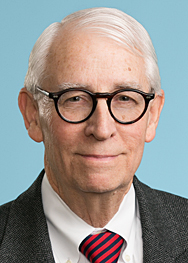 Judge Griffin, casting the decisive vote, felt himself bound by the Sixth Circuit precedent, although he also writes that the National Cotton Council case was incorrectly decided. Judge Keith, in dissent, argued that the National Cotton Council decision has been erroneously interpreted, and the cases should be heard in the first instance in the district courts. In granting the stay a few months ago, the panel majority expressed the view that the petitioners challenging the rule “demonstrated a substantial possibility of success on the merits,” which may not bode well for the government. Some observers, noting the panel’s ambivalence regarding their interpretation of the CWA and the tepid response the National Cotton Council decision has received in other circuits, suggest that a petition for en banc review is very possible.